There's no review like a good review; especially when your products are being reviewed by technology thought leaders like PC Magazine and Top Ten Reviews.com. PC Mag is a popular media publications in the information technologies industry, aimed at evaluating products and enhancing productivity for users. Top Ten Reviews is a product comparison website that narrows down hundreds of products and services to a list of the top 10 best within a given category. It is quite distinguishable to receive positive recognition from these reviewers, and Buffalo is grateful that two of our devices garned the attention of these leading excperts in the tech industry. 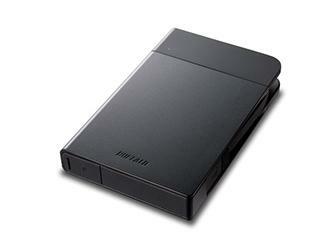 Giving our MiniStation Extreme NFC (1TB) a 4-star review and an excellent rating, Buffalo comes in 3rd place for best external hard drives of 2016. "Your business data is likely the most important thing you carry with you, and your backups need protection, too," said Joel Santo Domingo, PC Mag author. "The 1TB Buffalo MiniStation Extreme NFC ($129.99) will protect your data physically and electronically, since it's a rugged hard drive with 256-bit Advanced Encryption Standard (AES) and hardware-based Near-Field Communication (NFC) security features. It's worth considering if you're paranoid about your data and hard on your equipment." 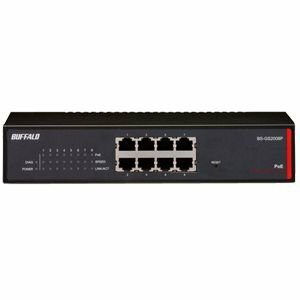 Top Ten Reviews composed a list of the top 10 Ethernet switches of the year, ranking Buffalo's 8-Port Desktop Gigabit Green Ethernet Smart Switch first as 2016's best. According to the product evaluation, Buffalo "offers a low-cost way to extend a wired business network. This Ethernet switch comes with the brand's smart auto-sensing features and a plug-and-play design that requires no additional software configurations." In this review, Buffalo beats out tech industry competitors, Linksys, Cisco, and Netgear among several others. See for yourself what PC Mag and Top Ten Reviews had to say about our two products, while you consider investing in future devices!